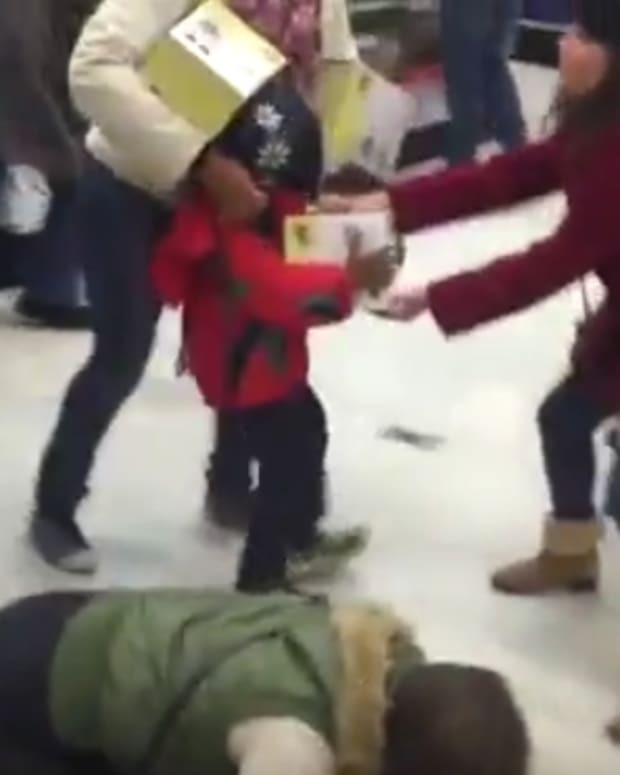 Shoppers around the U.S. shared the holiday spirit by punching each other out on Black Friday (videos below). Black Friday started on Thanksgiving, Nov. 26, at the Mall St. Matthews in Louisville, Kentucky, where two young men pounded each other and tore their clothing, notes the New York Daily News. Onlookers filmed, cheered and yelled "World Star," in reference to the popular social media site where videos of fights are often posted. A police officer broke up the fight, but it&apos;s not clear if either young man was arrested. 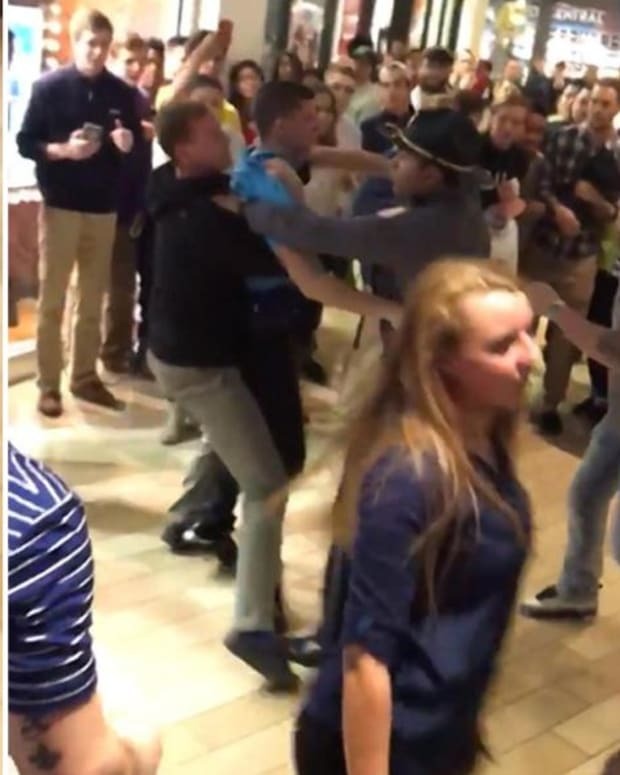 Another fight broke out inside a mall in Florence, Kentucky, where the man filming also yelled, "World Star" several times. 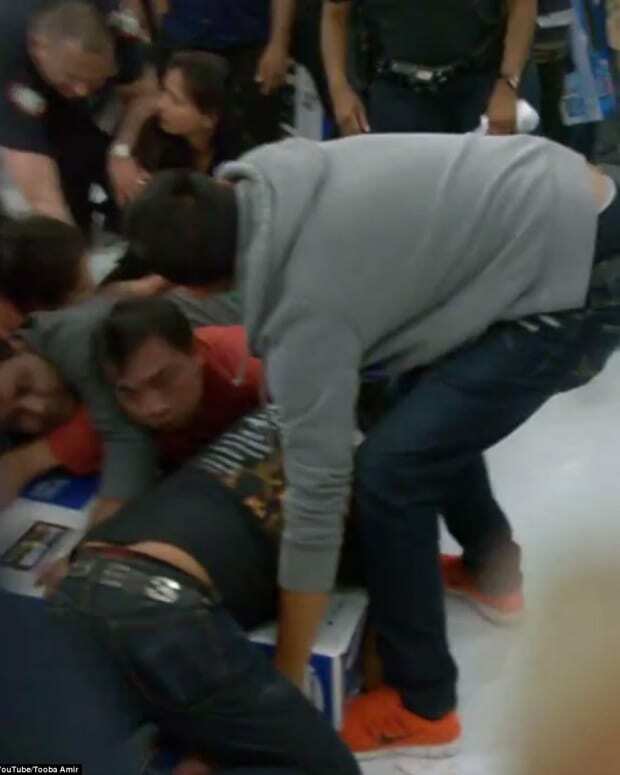 There were also scuffles inside a Walmart in El Paso, Texas, where shoppers fought over big screen TVs. In that video, an unidentified man appears to take a swing a police officer and is arrested. 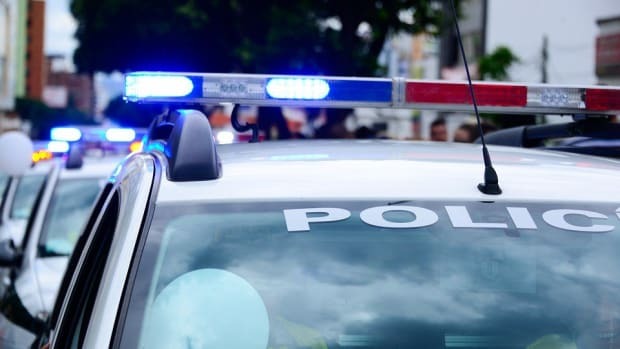 An unidentified woman snatched a vegetable steamer out of a child&apos;s hands, which prompted the kid&apos;s mom to fight the woman. CNN notes that shoppers are expected to spend $83 billion this weekend, if they survive. 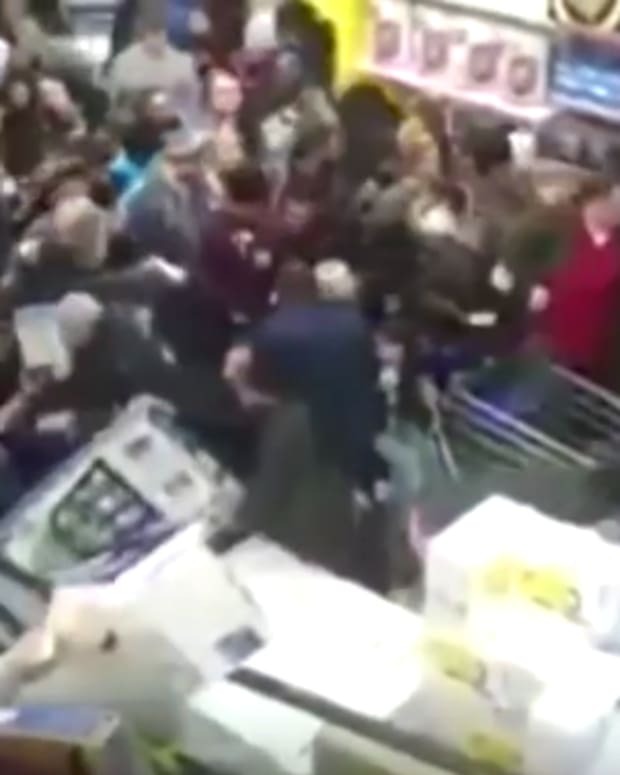 The Daily Mirror reports that Black Friday in the U.K. is far different than the U.S. 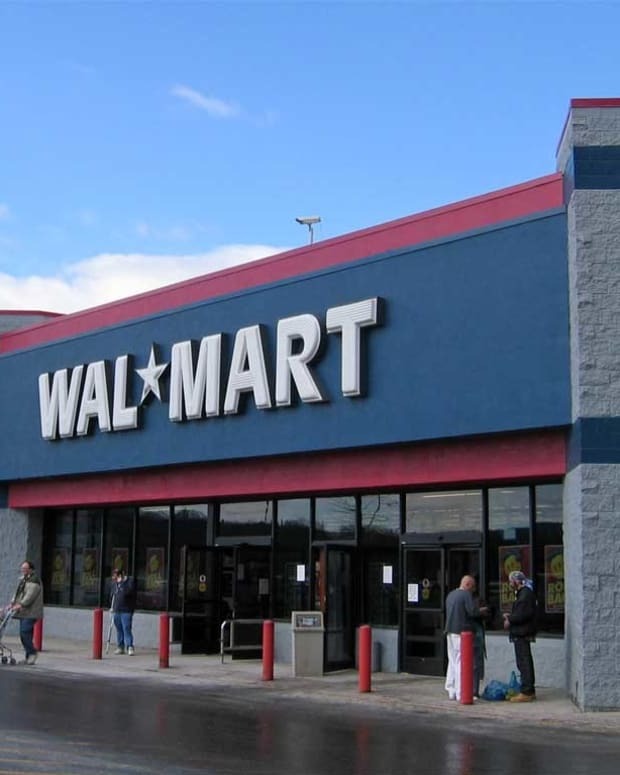 There were a lack of crowds, extra security and customers calmly strolled into stores. At some stores, people politely waited their turn to go in as security guards allowed in only a limited number of shoppers.